Birthplace of the GAA. Winners of the first All-Ireland hurling championship. John Doyle and Nicky English. Semple Stadium. 26 All-Ireland Senior Hurling Championships. It may not take as long to travel from Dublin to Tipp these days, but in terms of hurling tradition the distance is vast. 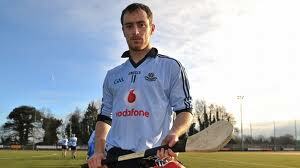 One of the newest additions to the Dublin Senior Hurling squad comes from the rich hurling tradition of Tipperary. Along with Conal Keaney, Ryan O’Dwyer has joined the Dublin hurling set up and given a boost to the 2011 prospects of the metropolitan’s hurlers. A native of Cashel, O’Dwyer has quite a hurling resume despite his relatively young age of 24 years. O’Dwyer made his senior county debut with the Tipperary hurlers in 2007, the year of the trilogy with Limerick, and has won National League title and Munster titles. A supremely talented athlete, O’Dwyer has also represented his native county in football at senior level. Ryan O'Dwyer feels big things are not far away for the Dubs. 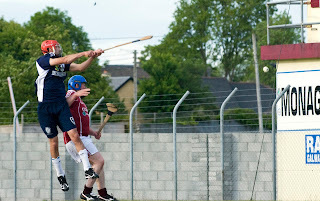 O'Dwyer in full flight for the Wexford Hurling Club vs Tipp in Boston. O’Dwyer spent the last two summers in Boston playing with the Wexford Hurling Club and the Galway Football Club. O’Dwyer won a North American Championship with Wexford in 2009, but that year had lost the Boston final in controversial circumstances. O’Dwyer did not start that Boston final as he had injured his leg, but came on in the second half and Wexford almost won it, however, a last second goal was disallowed. The disappointment still sticks with O’Dwyer, but he could not say enough about his time in Boston. O’Dwyer clearly feels that he has a home away from home in the States. “I can’t speak highly enough of the lads out there. I had the time of my life,” gushed O’Dwyer. “I made friends for life, any time I go to America I know I’ll have a place to stay in Boston. The lads there would do anything for you. It means so much to them. “ O’Dwyer was committed to the cause of the clubs he played with, and was also impressed with the standard of play. “The hurling out there is as strong as anything I’ve played. The Wexford team I was on would be as good as a top 2 or 3 team in Tipp. You’ll have the best summer of your life out there, but you’ll hurl serious,” he added. Dublin senior hurling has gained a valuable asset in O’Dwyer. The man comes to play and there is no doubting his enthusiasm. Talking does not seem to be a problem for him, but he can also do his talking on the field. If making the collective push for the big breakthrough in Dublin hurling is the sum of many small individual pushes, there no doubt that O’Dwyer will account for a bit more than a nudge. The Boston North East Board AGM took place on Sunday, February 20, at the Irish Cultural Center. The playing fields were still covered with a blanket of snow, and with temperatures not much warmer than freezing, notions of football and hurling seemed distant indeed. Preparations must begin however, and with delegates from 23 clubs present there was an eagerness to get the ball rolling for the coming season. The officers for 2011 were elected. There were no positions that came down to a vote, though John McDevitt needed a little nudge to accept the position of Treasurer for another year. McDevitt accepted on the understanding that he can enlist help at the gate on match days. There were plenty of issues discussed including coverage of the games during the season, sponsorship, registration deadlines and sanctions, and the cost of insurance. Secretary Dan O’Connor credited the clubs with maintaining a high standard of play in Boston, and cited recent games where local selections played a New York team that was weeks away from competing in the Connaught Championship and ran them close, and beat a visiting Dublin Bus team in October. Treasurer John McDevitt mentioned that receipts were down on previous years and acknowledged that 2010 was a tough year in that regard. Ellen Joyce and Mike Moynihan spoke on behalf of Divisional Youth Board. Over the last 3 years 9 underage clubs have formed with more than 500 registered players and is continuing to grow, with 4 more new clubs in the pipeline. Also, the Irish Cultural Center will host the Continental Youth Championships in August, a competition that features underage teams from all across North America. There will be in excess of 2,000 players, along with coaches and parents a big weekend is in store. There will also be a Junior C hurling competition with three new hurling clubs now under the umbrella of the board. 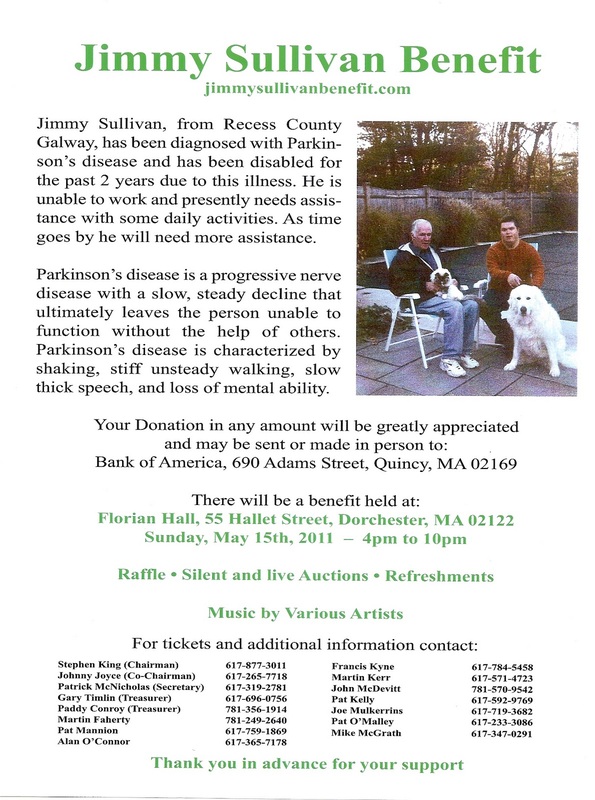 The Barley House Wolves of Concord New Hampsire, Portland Maine, and Worcester will participate in the competition. John Farrell noted that along with Hartford, there is now a presence in almost all of the North East states. The new board will reconvene on Sunday, March 6 at the Boyne at 2:00. Alan McGrath and Mike Dalahanty (Portland Maine HC). The election of officers went smoothly. New board members are Frances Finucane who was nominated as assistant secretary and Rory O’Donnell as PRO. Trustees are Francie Foster, Gerry Prior, and Pat Kenneally. Connie McEleaney was nominated as Honorary President. All other officers returned for another year on the board. The board for 2011 is: Chairman - John Farrell, Vice Chairman – John Cunningham, Secretary – Dan O’Connor, Assistant Secretary – Frances Finucane, Treasurer – John McDevitt, Assistant Treasurer – Pat Kelly, Registrar – Paul Ryan, Youth Officer – Ollie Garry, PRO – Rory O’Donnell, Trustees – Francie Foster, Gerry Prior, and Pat Kenneally. Action from the Barley House Wolves trip to Ireland. I thought it would be interesting to revist the story behind the club from 4 years ago, please read on. For many years now the efforts going into the promotion and development of Gaelic Games in North America has focused mainly on football. Fledgling underage hurling programs have started in Boston and New York and the work going on in this regard has been showcased at the Irish Cultural Center in Canton during the Interprovincial Football and Hurling Finals. However, outside the two cities there had not been as much of a focus on promoting the game involving the small ball with the youngsters. The logical conclusion as to why football has been the more prominent of the two games probably lies in the assumption that hurlers are bred, not made, and only bred in select parts of the country of Ireland mind you. In fact, the theory of natural selection as regards what makes a skilled hurler might have us believe that over the next few generations people from Kilkenny, east Galway, Cork, and Tipp will evolve with bas shaped hands. Evidence that the game in Ireland is becoming more geographically concentrated is found in the fact that outside Cork and Kilkenny there are only two or three other counties that might have an outside chance of winning the All-Ireland. While the GAA are trying to change the direction the game is taking in Ireland, one wonders what hope is there outside of the homeland of the game that it might take hold? Well, it might surprise some people that evidence of the potential of the game abounds the length and breadth of the United States. A quick glance at the North American Web site (www.nagaa.org) shows a plethora of Hurling clubs being formed outside of the traditional strongholds of Boston, New York, Chicago, and San Francisco. In fact, Chicago has faced difficulties in recent years, and just one year after making their Ulster final debut, New York will not be entering a team for the Ulster championship in 2007. Difficulties also lie ahead for Boston and San Francisco where the clubs have relied on emigrants and summer players to fill their ranks and the pool of these players is drying up, like a parched lake in the middle of a drought there is no longer a stream of players from traditional sources to feed the pool. Hurling Clubs are springing up in places like Portland Oregon, Albuquerque New Mexico, and closer to home, Concord New Hampshire. These are places that could hardly be described as having a hurling tradition, or be populated with people coming from such a tradition, and whether the game takes root and blossoms remains to be seen, but it certainly is a development that is worth a closer look. The club has not had any competitive encounters yet, and Ray feels that the competition from Boston would be a little too advanced for the New Hampshire lads at this point. “Last year was our first season, and we certainly were not ready for any games,” said Ray. “We were starting from scratch, and just learning the rules was one of the first steps for us. We are not yet ready to play Irish-born teams, but we are seeking other American-born teams to play this season. We have been trying to taunt other groups into starting teams so we can get a league going up here!” According to Ray the biggest challenge is finding suitable opposition, and there has been interest in areas close by. A group from Burlington, Vermont expressed interest in starting a club and the Wolves invited them to practice and provided information on where to get the necessary equipment to help them grow. “It is also in our interest to develop as a club that other clubs form and grow close by” said Ray. The players have traveled down Interstate 95 to the Irish Cultural Center to sample some live action. It seems that this has whetted the appetite amongst the Wolves to continue to try and hone their skills as well as get a feel for the game. “We have gone down to Canton as a team to watch games, which was incredibly helpful in learning the game. You can read the rules and look at clips on the Internet, but nothing compares to seeing a live game to really get a feel for the tempo and the conduct of the game. I have brought my family to the ICC to watch games as well, and we have a great time. The intensity of the competition is great, and the sport has us hooked.” Ray also noted the importance of what they saw as regards the coaching that was taking place with underage players. “It was good to see a lot of the kids playing since that is the best way to grow a sport. Just like with baseball here in the States, when kids start playing young, the skills get ingrained and the sport improves overall,” added Ray. The Club trains indoors during the cold months and switches to outdoor training on soccer fields in the Summer. The Barley House, the best tavern in Concord, NH says Ray, and The NH Police Emerald Society each provides sponsorship to the club. “They have helped financially with the purchase of equipment and uniforms, and with the overall promotion of the team” said Ray. So enthusiastic is The Barley House that the pub sells team jerseys and the bartenders wear them while working. As regards future goals the next step is to get a schedule of games with other American born teams. “We need more games to keep the interest up, and to develop the sport” according to Ray. “We would like to be the first, but not only, club in the state of New Hampshire!” The club hopes to have a junior and senior within two to three years and then start getting the kids involved. Ray also said that one of the goals for this season is to get some scrimmages with some of the junior teams in the Boston area and to learn from the experience. At Croke Park are Lore Ford, Luke Koladish, and Ray Valas. For this season the club will be without 3 players who volunteered for another tour of duty in Afghanistan. The lads brought their sticks with them, and the jerseys. “We will not have them this season, but they will be back for next year. In fact, they might have the first hurling practice ever held in Afghanistan!” said Ray jokingly. Contact information for the club can be found on their Web site at www.barleyhousewolves.bravehost.com. 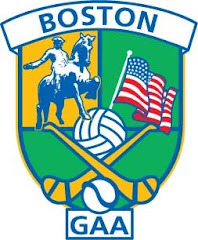 The Web site for the Boston North East Board of the GAA is located at http://www.bostongaa.org/.